3/3/12 The roads were dry today, so I finally had an opportunity to test the recent de-squeaking measures. What an improvement! Although there is still a minor squeak from the rear silencer mount to tackle, the car is transformed. It's not just that it's quieter, but psychologically, the lack of squeaks and creaks adds a significant sense of rigidity to the chassis. What I previously perceived as flex on bumpy roads was simply my gut response to the squeaking. 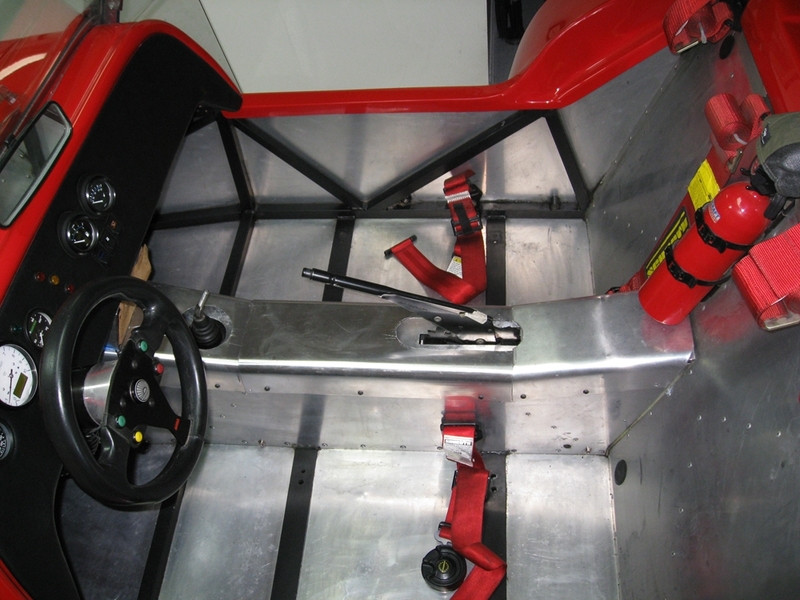 2/26/12 The Westfield has been a squeaking nightmare for a number of years, with two items accounting for the cacophony: worn out silicone bond between the scuttle and tub, and dry polyurethane bushings in the front suspension. Although annoying, the noise is something I've learned to live with out of nothing more than sheer laziness. The suspension job is a PITA due to my engine installation which blocks access to one suspension bolt, and the scuttle, although easy to remove, requires a lot of juggling with wires to get in position to clean the underside. I hate wire juggling. However, over the last couple of weekends, I've finally tackled the issues. To ensure a long term fix for the scuttle-to-tub squeaking, rather than applying more silicone, the old stuff was completely removed and closed cell foam padding tape went in it's place. Silicone was applied around the bolt holes on the side of the scuttle to ensure no moisture makes it's way in the frame rails, and a bead of silicone was applied to the front where the fit isn't as tight. It took a while, but wasn't that difficult. The poly bushings, however, were a different story. My engine installation conspires to make this a big job. The alternator -- which is buried at the bottom of the drivers side and difficult to access -- gets in the way of removing a key suspension bolt, and adds a couple of hours of work and a few hundred expletives to the job. That is annoying enough, but given that the bushing grease has a short life, it means this isn't so much a repair, as it is a regular maintenance item. Fortunately I stumbled upon some grease designed for this application that people claim lasts for years, so I decided to give it a shot. As expected, the job was a pain, and like an idiot I made things worse. First, I damaged the rubber boot for one of the lower balljoints, and next I bunged the threads of the other when the tierod remover slipped. The lower balljoints are from an Austin Maxi which was never imported, so they had to come from the UK. But it's done. Lots of rain means I've yet to give the car a proper road test, but pushing down firmly on the frame rail is now met with silence, which is a great sign. 2/25/12 Microsoft is deprecating Office Live Small Business, the free web publishing service that has hosted this site since 2008. The replacement, Office 365 for small business, is a big step forward for those who are actually running a small business, but I'm just a car enthusiast with a vanity site, so it's time for me to move on. After a little research, I settled on Weebly.com. It took quite a few hours to transfer everything over and correct all the formatting issues (although I'm sure I've missed a few), but it seems like it will do the job. I'll give it a few weeks before I transfer over the domain name and make it the official home of Throttle Steer. the engine bay directly underneath the brake & clutch master cylinders. Great for lowering the center of gravity, but lousy for access. Given the EVO2 is so light, I moved it back up to the traditional placement on the shelf in front of the scuttle. This placement meant that a slightly longer 12V+cable was needed, so I decided to roll custom battery cables equipped with terminals appropriately sized for the small M6 terminal used on the EVO2. The good folks at Pegasus Auto Racing Supplies provided flexible 4 gauge cable, 1/4” ring terminals, and insulating boot, while an Amazon vendor sent a crimping tool capable of dealing with such heavy duty terminals. 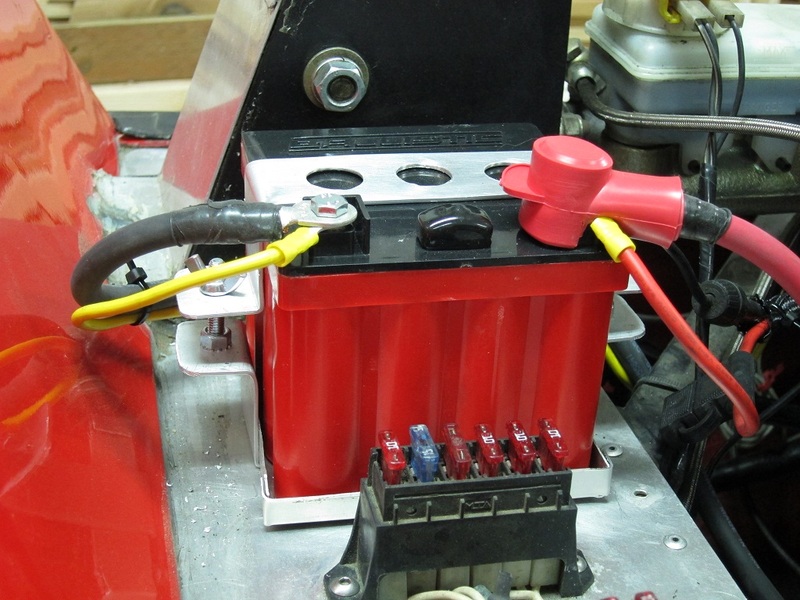 The battery is definitely up to the task of starting the car in cold weather, so the big question now is how long will it last. My fingers and other appendages are crossed. 1/22/12 Yikes!This blog was last updated over 2 years ago!! Okay, so I’ve been a bit delinquent, but given my website statistics, I think I’m the only person who’s noticed. The past two years have been pretty uneventful car-wise, so I’ll just touch the highlights here in reverse chronological order. cold weather to make sure it is up to the task of how I use the car. The other afternoon, with the temps in the mid 30's and falling, I rolled the Westfield out of the garage and let it sit on the driveway to acclimate to the colder outside temps. When checking back over 2-1/2 hours later, an infrared thermometer showed the battery had equalized with the current air temp at 31F and the block was a warmer, but still chilly, 37F. Next it was time for the big test, so I inserted the key and turned...the engine fired right up! I immediately switched it off and then repeated that process two more times, and the result was three back-to-back startups around the freezing mark with zero issues. Not too shabby for something that tipped my postal scale at 3lb 4.5oz! For comparison, the PC680 on the same scale came in at 14lb 10oz. matched the interior, but wasn't a sonic masterpiece, while the factory speakers suffered from age related rot, so they...well, sucked. Since Christmas is always a good time to spend wastefully, I picked up a new head unit locally (Kenwood Excelon KDC-x995), and then went to Rod Birch of Rennlist fame for speakers (Focal 165 V30) and amp (Arc Audio KS125.2 Mini). The tweeters on these particular Focal's are small enough to fit in the factory tweeter housings with just a little persuasion from a Dremel, so other than the head unit, the system looks stock. The amp is a class-H item which is really, really small and light, and fits perfectly under the passenger seat. It was a pretty big project that took almost an entire weekend, but the results are impressive. The Miata came with a poorly installed, tacky-looking silver head unit that was *really* out of place in the otherwise nice interior. Given there’s now an innocuous-looking, black Clarion from the 993 sitting on the shelf, I made the swap. It’s not a sonic improvement over the outgoing Sony XPLOD (no really, that’s the name Sony’s branding brain trust came up with after countless focus groups and hundreds of hours of market analysis), at least it looks a lot better. bearing drawer slides, and features 73% more drawer area than my outgoing cabinet, so I now have space for everything. 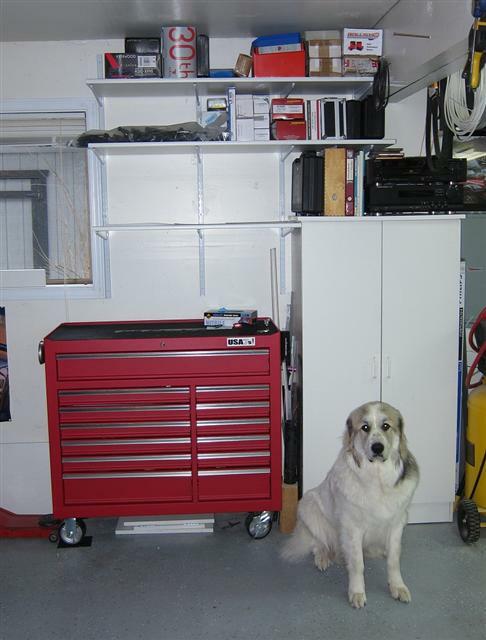 Speaking of everything, the garage is also a little short on space for those things, so I installed new, adjustable shelves over the tool cabinet. (that’s the new shop dog, an 11 month old Great Pyrenees who doesn't like to pose for photographs). doing most jobs. Simple ramps made from stacked 2x12s enable all the cars to drive over the lift. replacement from Custom Dynamics (also available as the creatively spelled Radiantz 1.85” Replacement Clusterz). The reviews indicate that they are much brighter than 1157 bulbs and their 120 degree LEDs maintain an advantage at pretty severe viewing angles. Unfortunately they are a bit bulky and won’t fit behind the my Land Rover brake light lens without extensive and irreversible modifications. Bummer. my light housings, so I ordered a pair of red LEDs from Custom Dynamics.Before committing to the change, I decided to do a side-by-side comparison with the new LED cluster in the passenger side light and the 2357 bulb (a marginally brighter substitute for the 1157) in the driver’s side light. I walked back about 20’ and then signaled SWMBO to hit the middle pedal. Wow! 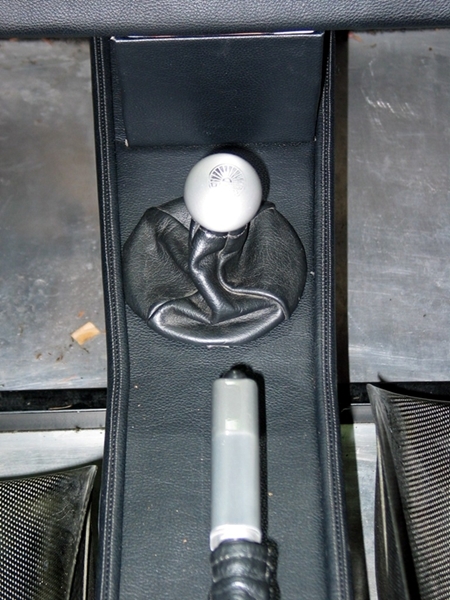 The LEDs were much brighter than the incandescent bulb. I then moved up about 15’ and over to the right by several feet until I could just see both lights. Even that far off axis the LED still held an edge. Because I am using the version with the remote base, I had to find a way to affix the LED cluster to the bottom section of the light housing. I decided to use double-sided foam tape to make replacement easy should I ever have an issue with a cluster. The LEDs don’t produce any appreciable heat, so the tape should last a while and also provide a little cushioning to the LEDs which are sensitive to vibration. Although not cheap at $25/cluster, the LEDs are well worth the money. 3/29/09 This weekend I attended a fantastic tech session at the local Lamborghini dealer. They put the guts of an LP640 Roadster on display and explained the inner working of the E-gear transmission to a small group of enthusiasts. Tom, the car’s owner and the organizer of Exotics @ Redmond Town Center, had noticed a very minor oil leak coming from the back half of his car.Nothing serious, just a few drips per month, but enough to spur the dealer into action. They received the go ahead from the home office to pull the engine and transmission to find the cause before it developed into a bigger, more expensive problem. Fortunately Tom is one of those exotic car owners who likes to share with others, so he organized the tech session and spread the word on a couple of local forums. release bearing has moved. A computer controls the hydraulics and determines the engagement/release point and speed based on various parameters including estimated clutch thickness, which is calculated using a wear rate algorithm. The latter uses clutch temperature cycles (duration and actual temperature) and apparently is quite accurate. 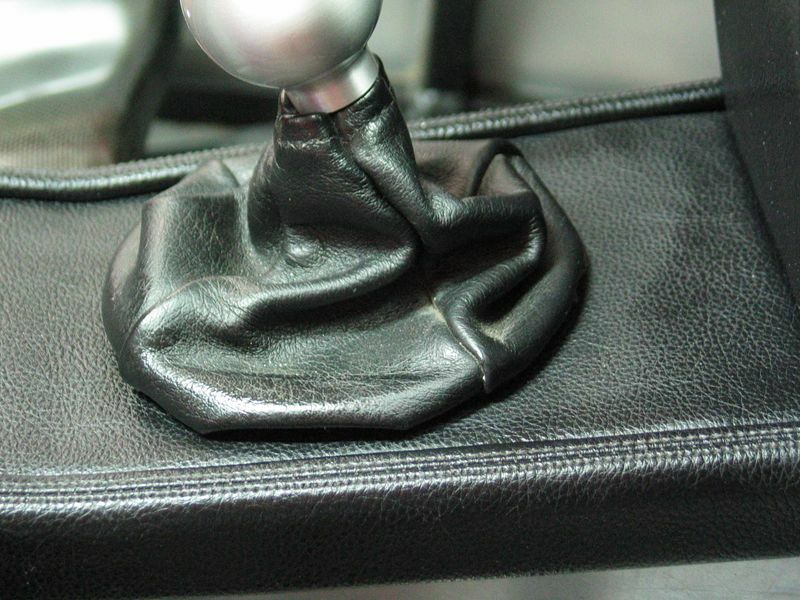 This also means you can determine clutch life by simply plugging into the computer. Very slick. coping mechanism for the high prices, but I prefer to think of it as simply living in denial – a highly underrated place to live. While speaking with the Lamborghini tech we quickly concluded that one Lamborghini Unit equals at least 5 PU. For example the clutch release bearing is…$3800. The E-gear ECU is also $3800, and the clutch pack is almost a bargain at $6500. Shop time to remove and replace the engine/trans is 25 hours…and no, I don’t know what they charge per hour. Perhaps the biggest surprise for all of us was the Lambo’s build quality. The areas normally visible to the casual observer looked great, but with the engine out, it was a different story. The LP640 uses superleggera construction, which is a fancy Italian way of saying it shares the same type of square tubing framework for its suspension and engine mounting points as you find in a Westfield. The difference though was in the aesthetic quality of the welds. I’m sure they are very strong, but my God were they ugly and inconsistent. They truly looked like they were done by someone in an introductory welding class. It was also kind of odd to look at the suspension arms and again see something similar to the Westfield. They are welded up from oval and tubular stock, which given the low production, makes sense, but it doesn’t look like something I would expect to see on a $400k car. Again, the bottom line is how the parts work and I have no doubt they work together very, very well, but it was quite different from what you see when tearing apart a Porsche.Or dare I say, even a Westfield. 11/16/08 I replaced the upper bushing in the Westfield’s steering column today. 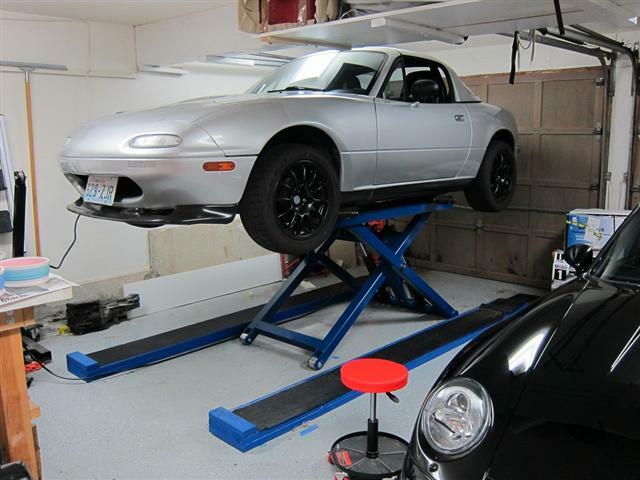 Posts on WSCC indicate that you can simply drive the new bushing in from the top and displace the old one a little further down the column, After doing that and taking the car for a test drive, I discovered that the steering was much stiffer than before and it would no longer self center. Not good. is that I dislodged/broke something when I was pounding in the bushing. More research is required. 11/09/08 I finally got around to finishing the transmission tunnel cover. Rather than stick to the original plan and upholster the sides of the tunnel down to the floor, I opted to just do a simple cap. Although fully upholstering the tunnel would have resulted in a more finished appearance, that isn’t really the look I am after, so I kept things (relatively) simple. seat. This weekend I break out the sewing machine. range, and build quality with the original. They also share the price, but thanks to a group buy on Rennlist, I saved $13/corner. For a floor jack, I picked up a very nice piece from Griot’s Garage at their annual garage sale – only $85 rather than the normal $400 price tag. Last weekend I used the setup for the first time and was blown away by the difference in stability.I’ve never had a pair of ratchet type stands that lock at exactly the same lift height. 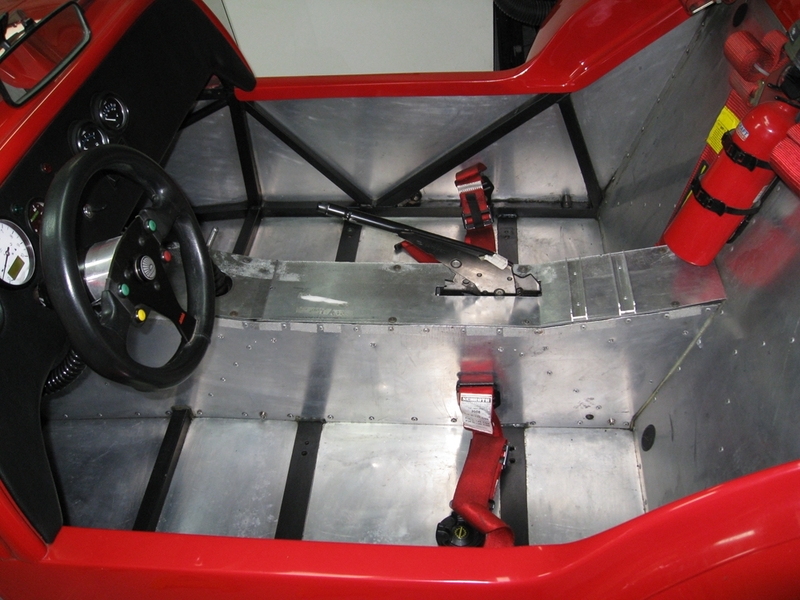 This doesn’t seem to make a difference in a real car where the vehicle weight is sufficient that modest chassis flex keeps all the jacking points in contact with the stands. 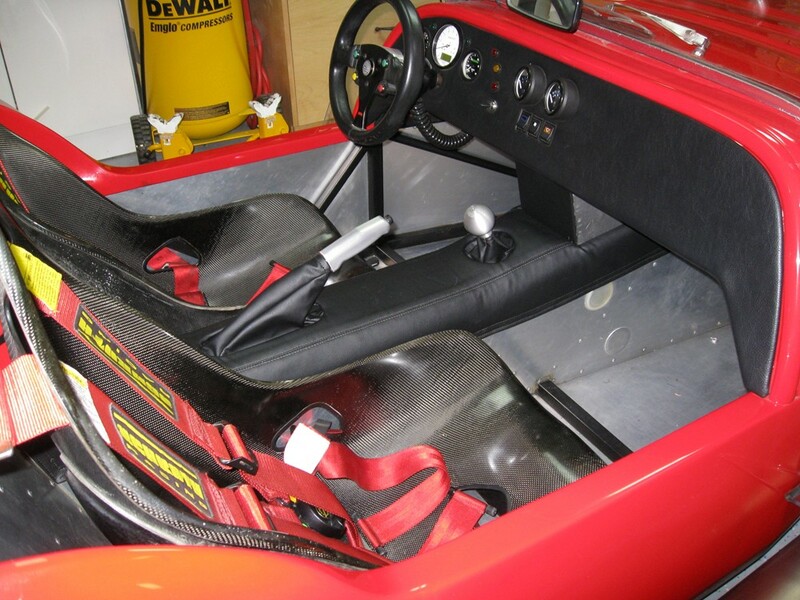 With the Westfield, however, the car is so light, that it would only rest on three stands at any given time. With the ESCOs the Westfield was rock solid. Very comforting. 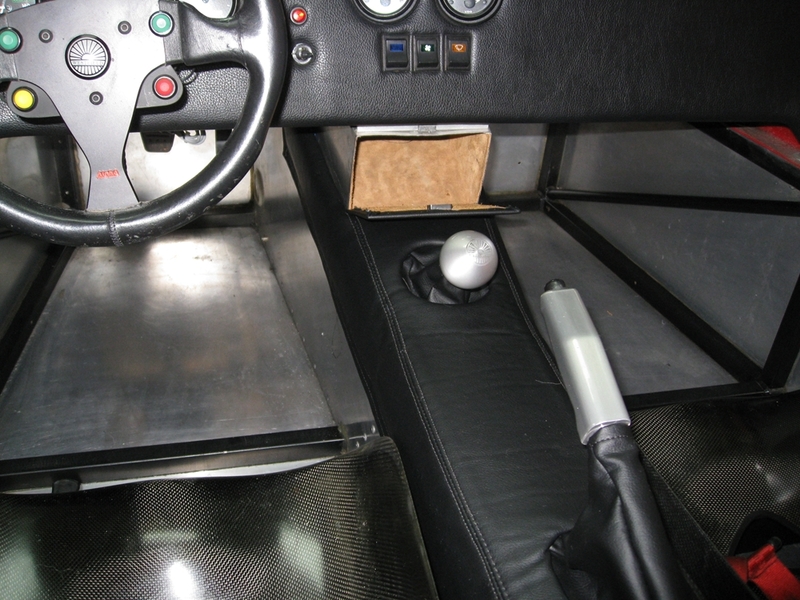 10/15/08 Added a piece to the Westfield's Upgrades page about the car's custom wind wings (aka wind deflectors). on the transmission tunnel project. I’ll post photos then, but for now here is some background on what I'm attempting. I never cared for the aesthetics of the stock transmission tunnel trimming, which uses the (cheap looking) floor carpet on the tunnel top and sides.Since I am running sans carpet, I needed another option for the tunnel top, so I initially opted for a simple vinyl cap. It looked okay, but not great. Next I molded side trim out of L-section plastic that handle the transition between the tunnel top and sides. A French seam ran down the foot of the L (see photos) and Velcro held the trim in place. Although the Velcro enabled me to install the trim pieces without drilling holes in the chassis tubes that form the top of the tunnel’s sides, it wasn't a very secure method and was frequenlty knocked off by passengers. Had I been able to locate wider L-extrusion, then I would have had the flexibility to use nutcerts beneath the chassis tubes and secured the trim to the tunnel skin with button head screws. But since I couldn't, I am now on attempt #3. My plan is to create a new tunnel cap substructure with radius sides out of aluminum sheet and then cover the entire tunnel down to the floor with vinyl. 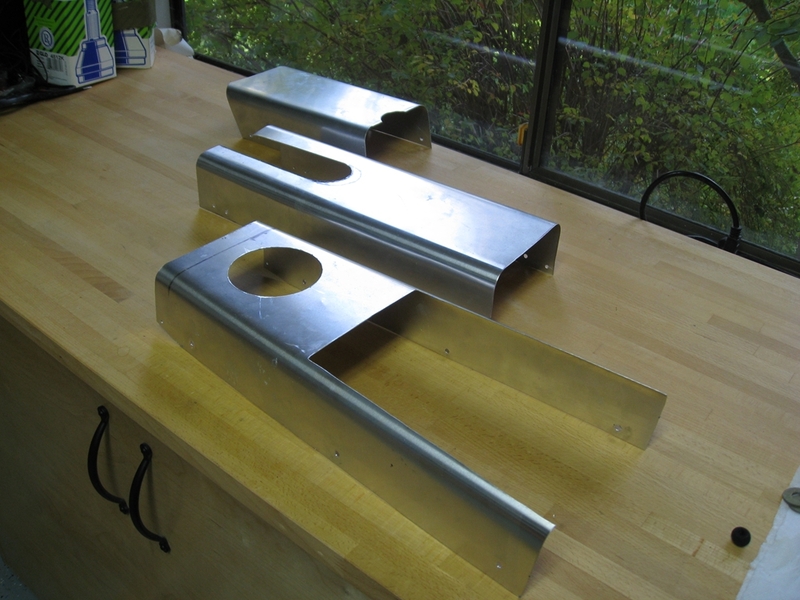 I mad simple bucks out of scrap wood edged with ¾” radius ¼ round molding and then bent the sheet aluminum to shape. The caps extend down the sides of the tunnel far enough that holes for the nutcerts can be drilled below the top chassis tube and avoid the use of velcro in that area. In an attempt to keep interior heat down, I plan to also cover the sides of the tunnel with bubble insulation, and then add some visual interest to the vinyl covering by placing a seam on either side of the tunnel top at the point where the cap begins to turn downward. Not sure yet if I will go through the trouble of doing French seams again, or just do a simple single stitch. I’m hoping that I can use the carpet snaps already on the bottom of the tunnel to secure the vinyl covering, but I may have to add a little Velcro as well. service is aimed at small businesses and includes a host of additional features such as a private site built on SharePoint that I don’t need, but hey…it’s free! I hope to keep this blog reasonably up to date and will use it to cover all the cars, however, the Westfield will likely be the most common subject. It is after all, the never ending project.